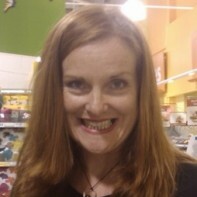 Kate Bopp is a Wexford born mother of 5 living in Coolbawn, Co. Tipperary with her husband Evert. She is a final year law student at the University of Limerick. Her decision to run reflects her disillusionment with the current political status quo. Kate is the co-founder of the aid organisation Haiti Connect which has been involved in a number of projects in Haiti for the last 12 months. Is this the same Haiti Connect whose members were photographed in a national newspaper lounging in a Florida swimming pool on the way to the disaster zone? Is this the same Haiti Connect that hired the most expensive and luxurious accommodation in Part-au-Prince? Is it the outfit that ultimately achieved nothing at all in Haiti? Not much of a claim to have on your CV.